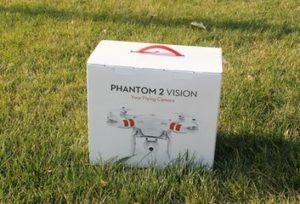 It is a shame that DJI ceased production of the Phantom 2 Vision+, but you can get a used one or with luck, you will get a new one on Amazon. There is no doubt that DJI is the top drone manufacturer in the world and the rest are left to play catch up. One of their best drones ever produced is the DJI Phantom 2 Vision+. However, DJI ceased production of the drone, but you can get a used drone from Amazon and other e-commerce sites at great discounts. It calls for you to do extensive research on each seller before processing payment and avoid ending up with a drone that hardly works. 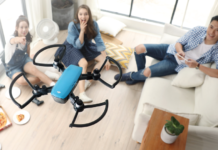 Since there are still some in circulation, we have decided to look into this amazing drone and give you an overview as well as an in-depth view of the drone. 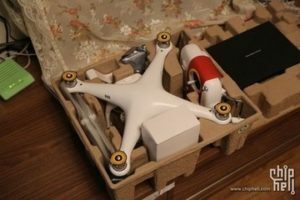 The DJI Phantom 2 Vision+ comes assembled and all you have to do after delivery is to recharge the batteries of the drone as well as that of the remote controller. 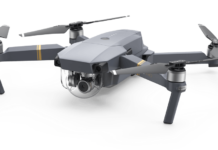 It is one of the bestselling drones from DJI thanks to the smooth aerial video and photography capabilities, and it is ready to fly straight out of the packaging box. It is perfect for beginners as well as experienced drone pilots, but you have to invest a pretty penny to acquire it. Not only will you love the 1080p HD video capabilities and the 14 megapixel stills, it has a bunch of features that will make you fall in love with it. Let us first look at the quick glance of the features. We have gone to great lengths to compile all the features of the DJI Phantom 2 Vision+ that will help you make a quick and easy decision. Despite that cease in production, you can still find a used as well as a new DJI Phantom 2 Vision+ and use our list to compare the specs. 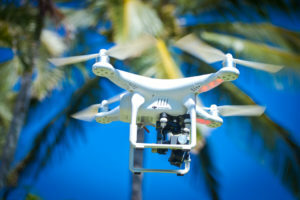 You can use the drone in temperatures ranging from 0 to 40o centigrade, and this makes it susceptible to be banned in certain countries and locations so ensure that you check with the regulations in the areas you wish to fly it. It is also necessary that you know the pros and cons of the DJI Phantom 2 Vision+. Roll up your sleeves and let us take an in-depth look at the specs. We will begin with the package as it delivered. 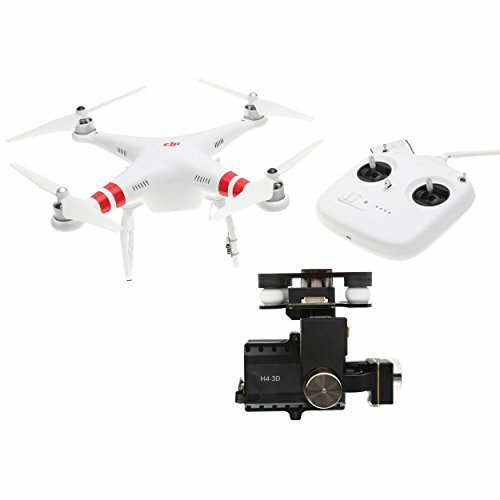 Now that you cannot buy a brand new DJI Phantom 2 Vision+, ensure that the seller includes the following items before you accept pay for the drone. The DJI Phantom 2 Vision+ only needs to have the battery fully charged and it takes approximately 2 hours to ensure that you get the full flight minutes. The remote controller is easy to fly with instructions on how to control the drone. However, you will find a DJI Phantom 2 Vision+ starter pack that comes with a 32 GB microSD card on Amazon at an extra price. 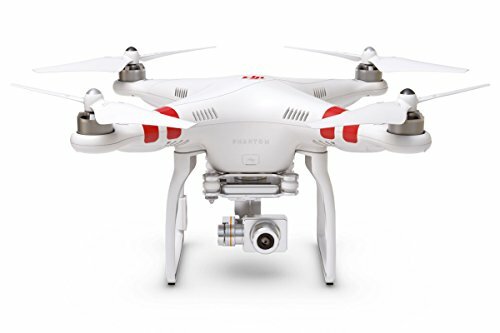 The DJI Phantom 2 Vision+ has a sleek white design synonymous with the DJI Phantom series. 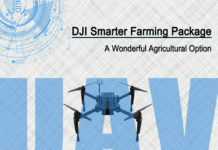 In the package, you will get stickers that allow you to customize the look of your drone. There are two red strips on the frontal propeller struts and a red DJI logo at the top of the drone against a white body. This gives the DJI Phantom 2 Vision+ a clean and stylish look and you might think it to be more expensive than it goes for. The DJI Phantom 2 Vision+ is a medium sized drone that weight 2.2 pounds and you will have to register it with the FAA if you intend to fly it in the USA. The landing gears are tall enough to ensure that there is no damage to the camera when landing. DJI has been known to use highly durable materials in the construction and the body and since it does not have obstacle avoidance technology, crashing the drone will not cause damage to the main components such as the motors, gimbal, or the camera. You might want to invest in a set of propeller guards if you are a beginner. The camera is one of the components that make the DJI Phantom 2 Vision+ one of the best drone buys. The drone has a 14-megapixel camera that can record HD videos in 1080P. The camera is mounted on a 3-axis gimbal that improves mage stabilization during flight and you will get clear and smooth footage. 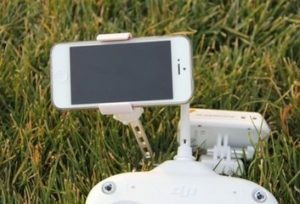 You can enjoy FPV thanks to the mobile devices that connect to the controller via Wi-Fi. The gimbal and the camera are already set up so you do not have to tinker with unnecessary installations, however, keep in mind that they are delicate components and they work optimally in the temperature range of 0o to 40o Celsius range. The camera can also record FOV IN 110o/85o at a resolution of 4384 x 3288 pixels. This makes it a suitable drone for cinematographers, journalists, aviation hobbyists, extreme sports enthusiasts, emergency personnel, and the list is endless. It will come in handy for professionals engaged in surveillance, monitoring, and surveying industries. DJI Phantom 2 Vision+ has one of the easiest remote controllers in the industry. It comes marked with wat each knob and stick does and it is a matter of learning how to master the art of precision flying. It uses a built in 2000mAh battery and t has a status LED battery indicator so you always know when it is the best time to add more juice to it. Like all the other Phantom series remote controllers, it is compatible with Android and iOS smartphones, phablets as well as tablets. The remote controller comes already linked to the DJI Phantom 2 Vision+ but when you replace the controller, linking it to the drone is easy and we will look at how to go about it later on this post. While the drone is medium sized, it is easy to loose site of t since the range stands at a maximum of 700 meters. Thanks to the forward thinking engineers at DJI, you can keep track of the drone by GPS and the screen of your device will show you the area where the drone is flying over. The DJI Phantom 2 Vision+ uses an intelligent 11.1v 5200mAh battery that gives it approximately 25 minutes of flight time. However, if you prefer an aggressive style of flying, you will get slightly more than 15 minutes. The flight time will also be greatly reduced when flying at high speeds, in windy conditions, and when using the camera during the flight. The battery needs less than two hours to charge, but you can purchase extra batteries to minimize the down time when charging the main battery. The DJI Phantom 2 Vision+ has 4 LED lights at the posterior end of the drone. When all the lights are on, it show that, the battery is fully charged and you will notice how the lights turn off one by one as the battery drains power. However, the downside to the drone is that you have to manually track the battery life, to know when it is the best time to recall the drone; otherwise, the drone might fall from the sky. Flying the DJI Phantom 2 Vision+ is a truly amazing experience, but you will love it more when you have attached a mobile device to the controller. You will enjoy pone of the best FPV experiences as the drone flies above. One of the ways to link the mobile device and the camera is using the DJI Vision app you can download from Apple Appstore or from Google Playstore. With the app, you will be able to get direct the drone to your desired direction and position the drone to capture the perfect shot. The footage and the image stills are stored directly into your device rather than the microSD. What this means is that you can easily share the footage with friends and family on social media. The DJI Vision app has a wide range of editing options, and since it is built for upgraded usability. You get to watch live HD video feed from the drone and the app gives you the power to adjust the gimbal and camera settings to get the perfect shot. Latest upgrades allows you to stream your flight live on YouTube so if you can broadcast your drone racing as well as give tutorials to beginner drone pilots in real time. The footage is saved directly to your device when you are using the app. You also get a live map and radar and it comes in handy to avoid no fly zones. You also get detailed flight data and you get to manage your DJI account without any stress. You can also use the DJI GO app, which is universally compatible with all DJI drones. DJI Phantom 2 Vision+ is one of the best performing drones in their market, and it can reach astonishing speeds of up to 15 miles per hour. With the DJI Naza-M flight control system, you will get an ultra-stable flight and it can stop midair and hover for a chance to get the perfect shot thanks to the GPS autopilot system. You will enjoy an anti-static compass, LED light indicators, a barometric altimeter, and an inertial sensor. When you need to call back the drone home, you only need to hit the return to home button on the controller and the drone will make a beeline back to the takeoff point. Better yet, you get flight radar that shows the position of the drone in relation to the pilot, and these add to make the DJI Phantom 2 Vision+ more stable in the sky. Before you take off for the skies, ensure to power up the wireless range extender, which enables you to connect the drone to the Wi-Fi of your mobile device and use the app. The DJI Phantom 2 Vision+ comes with the propellers detached and it calls for you to mount them before flight. Worry not, the struts and the propellers are clearly marked and self-tightening and they will lock when the motors start spinning. For each waypoint, the DJI Phantom 2 Vision+ default altitude is 98 feet but you can increase it up to 650 feet by tapping on the individual waypoints. The range of the drone from the ground station is approximately 1640 feet. 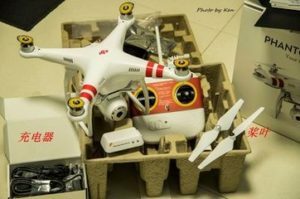 Beginner drone pilots will find it very difficult to fly the DJI Phantom 2 Vision+, and it is better to gain flying experience with a much simpler drone. However, to get the hang of this drone, fly it in an area without any destructions to avoid accidents. The maximum camera tilt angle is 35o, descent speed 2m/s, ascent speed 6m/s. You can get the DJI Phantom 2 Vision+ for less than $600 on Amazon, which is a relatively a fair price. It is a ready to fly drone, and it prepared the way for the more advanced models we enjoy such as the DJI Phantom 3, 4, and more. However, it is still a great buy and it will remain one of the best drones for years to come. 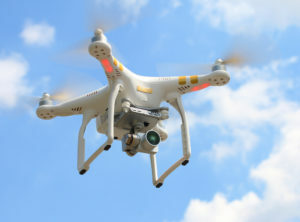 You will have to contact the customer care desk to get information about the guarantee, which complicates matters since the drone is no longer in circulation. 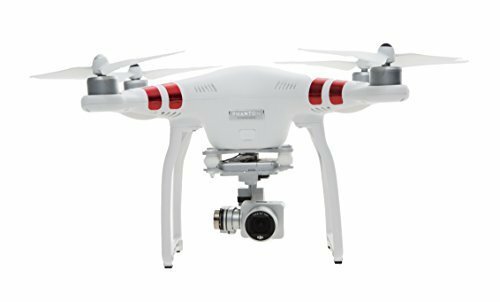 Initially, the DJI Phantom 2 Vision+ came with a 12-month warranty, but since only used drones and a few new ones are available in the market. Ensure that you settle for the seller that will give the best warranty. Be sure to check against our list of items in the package before processing payment. With the use of a mobile device with the DJI Vision app installed, you get to increase the altitude ascent. What this means is that the remote controller makes it easy to maneuver the drone to different positions when in search of the perfect shot. If you are not conversant with the working of the ground station yet, you can use the onscreen real time flight data. This has to be the single most important feature in the DJI drones. Instead of retracing the flight path or taking long routes to your positon, the DJI Phantom 2 Vision+ can go back to the initial takeoff position. Simply tap the return to home feature and the drone will make a beeline to the starting point and in autopilot mode. This is a drone specifically suited to drone pilots with experience flying drones. However, for beginners who are yet to understand how to go about using the controller, you can use your mobile device to fly the drone using the DJI Vison app, and you will learn all there is about using the waypoint to fly the drone. 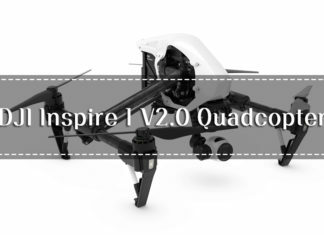 Since its launch in 2015, many models have rolled out of the DJI assembly plant as well as other drone manufacturers that have come close and advanced on the DJI Phantom 2 Vision+. 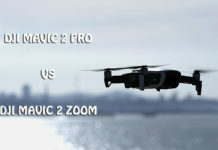 Here are similar models that perform as well as the DJI Phantom 2 Vision+ and some have surpassed it in terms of functionality and ease of use. This is an upgrade to the DJI Phantom 2 Vision+, and there are four versions of the model; the Standard, Advanced, the Professional and the 4K. However, the Phantom 3 model that comes close to the 2 Vison Plus is the DJI Phantom 3 Professional. It has a built in 4K camera that outputs ultra HD videos and amazing image stills. It uses a similar 3-axis gimbal for camera stabilization. However, it has the all new 720p HD digital streaming that enables you to watch HD feed from the drone. You also get an advanced Vision Positioning System that come in handy for flying indoors and places where you cannot use GPS. For the design, the two models are quite similar, with the body size almost similar at 18 x 13.1 x 8 inches. 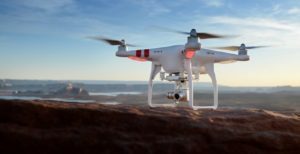 The DJI Phantom 3 Professional has a maximum speed of 16 miles per second, with an impressive control distance of 3.1 miles equivalent to 5 kilometers. The Phantom 3 Professional uses a 4480mAh Li-Po battery, which gives it approximately 23 minutes of flight time. The model came before the DJI Phantom 2 Vision+, a ready to fly model with a 2.4GHz remote control system. It has a built in H3-2D and H3-3D gimbal support for the camera and it offers exceptionally precise flight and stable hovering capabilities. One of the best things about the DJI Phantom 2 is the Intelligent Orientation Control, advanced power management, as well as a return-to-home function. Like in the DJI Phantom 2 Vision+, the DJI Phantom 2 has self-tightening propellers as well as brushless motors that give it the amazing flight capabilities. The Phantom 2 is perfect for aviation hobbyists as well as cinematography professionals. It looks very much like the DJI Phantom 2 Vision+ with a predominant white body with red strips and a red DJI logo at the top of the drone. It uses 5200mAh Li-Po battery that gives it a flight time of 25 minutes and a maximum speed of 15 miles per second. More so you get a video downlink support that saves the footage and photos to your device in real time. Despite the DJI Phantom 2 Vision+ being a ready to fly drone, there are certain procedures you need to note. For some reason if the remote controller is not linked to the drone, launch the DJI Vision app on your mobile device and tap on the camera. Then click on the remote controller icon then the ‘Linking RC’ button and the LED light on the controller will blink blue showing that the remote control is ready to be linked. 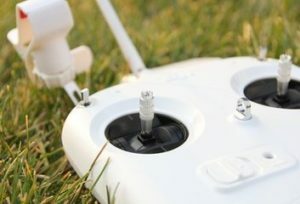 There is a linking button on the side of the DJI Phantom 2 Vision+ to connect the remote control, press it and wait, the LED light will blink green when the linking s complete. The remote controller is easy to operate since it is marked on what each stick and button does. This takes out the guesswork of testing what each component does and it will save time. The hassle comes in establishing how far you need to tilt the joysticks to move the drone. It is a shame that DJI ceased production of the Phantom 2 Vision+, but they have brought us amazing and more advanced drones. You can get a used one or with luck, you will get a new one on Amazon. However, be sure to look into the credibility of the seller. DJI will only offer a warranty to drone owners who buys the DJI Phantom 2 Vision+ from an authorized seller.